Your boat is a complex machine that needs special care and consideration. You know this, which is why you rented a storage unit to keep it safely stored for winter. Now that it's warming up again and boat season is under way, it’s probably safe to say that you’re ready to get it back out on the water again. You can't just pull your boat out of storage and throw it in the nearest lake once it's sunnier out, however. Before you’re enjoying the waves, fishing, and family fun that comes with being a boat owner, you need to make sure your boat is good to go after a season in storage - and that requires a little maintenance. Follow these suggestions, and you’ll be back on the water in no time. First, your fuel system. You're going to want to make sure no damage caused leaks over the winter, especially in vulnerable areas like the hoses and tank. The fuel system also includes ventilation systems you'll want to cycle, and fittings and clamps you’ll want to check on. Next up you'll want to make sure that your boat's electrical system is working. Inspect all connections to make sure there isn't any corrosion. Check and either charge or replace the battery as needed. Clean all cable ends and terminals with a wire brush. Electrical systems can be dangerous, so if there is anything you aren’t sure about it’s better to have a trained electrician look at it than to risk your own safety. Now you have to look at your boat's important fluids and fluid systems. Check on the following systems and replenish what you need to: engine oil, power steering fluid, power trim reservoirs, drive lubricants, coolant, and fuel. Inspect the propellers and the hull for any signs of damage, especially cracks. Small cracks can lead to big problems down the line. Last but definitely not least is your safety equipment. Are your boat's life jackets still in good condition and do you have the right number of them? Are your onboard fire extinguishers still working? Checking on safety gear is important every time you enter your boat, not just when you take it out of storage. When you’ve checked every item on this list, you should be ready to explore the open water, enjoy the sun's’ rays, and make the most of warm weather. 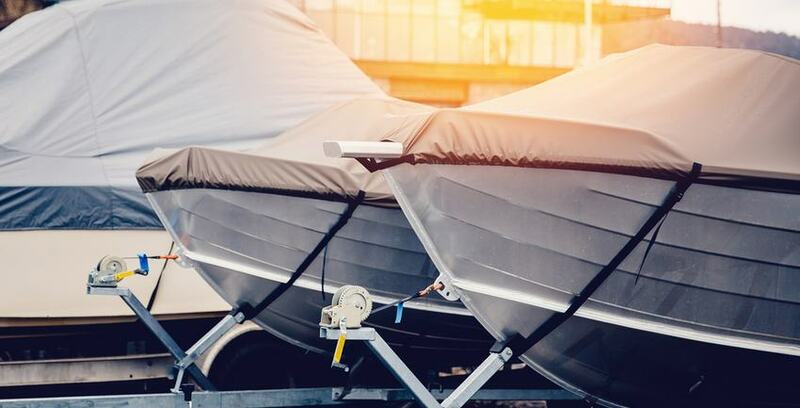 When it’s time to put your boat away for the winter again, don’t forget that Storage Direct provides high quality covered boat storage solutions for boats of all shapes and sizes.